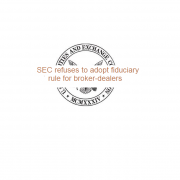 The SEC refuses to recommend a fiduciary rule for broker-dealers; new rule reiterates FINRA suitability standard and allows conflicts of interest between brokers and investors. The Quest For A Uniform Fiduciary Standard. Traditionally broker-dealers and their registered representatives have been held to a different standard of conduct than registered investment advisors. The former are licensed by the Financial Industry Regulatory Authority (FINRA) and their conduct is governed by FINRA’s suitability standard requiring that a firm or associated person have a reasonable basis to believe a recommended transaction or investment strategy involving a security or securities is suitable for both some investors and the specific client receiving the investment. See FINRA Rule 2111. Registered Investment Advisors, on the other hand, are held to a fiduciary standard that includes an affirmative duty of utmost good faith, and full and fair disclosure of all material facts, as well as an affirmative obligation to employ reasonable care to avoid misleading clients. See Sec. Exch. Comm’n v. Capital Gains Research Bureau, 375 U.S. 180, 192 (1963) (interpreting the duties under the Investment Advisor Act of 1940). Although the standards are significantly different for brokers and advisers, several studies have shown that most retail investors are not aware of the difference between brokers and investment advisors. See, e.g., Study on Investment Advisors and Broker-Dealers, Securities and Exchange Commission, 2011, As a result, regulators, legislators and investor advocates have sought to develop a uniform fiduciary standard applicable to all financial advisers. Efforts to implement a uniform fiduciary standard have been underway for some time. Former SEC Chairwoman Mary Shapiro favored the adoption of a fiduciary rule, as did her successor, Mary Jo White. However, neither had the support they needed on the Commission to adopt a fiduciary rule. Section 913 of the Dodd Frank Act, Public Law No. 111-203, directed the SEC to study the standards of conduct that should govern investment advisors and broker-dealers, and even gave the SEC the specific authority to promulgate a fiduciary standard rule if its study indicated a need for one. Current SEC Chairperson Jay Clayton had been on record as being in in favor of some form of a fiduciary standard and seemed to be moving in that direction. On June 1, 2017, he sought public comment from investors and other interested parties on the standards of conduct to govern investment advisors and broker-dealers. Six years after Dodd-Frank’s directive to the SEC became law, the SEC was still studying the fiduciary issue. Perhaps because of the SEC’s inaction, in 2015 President Obama called upon the Department of Labor to create a rule requiring all advisors of retirement accounts—brokers and registered investment advisors alike — to place their clients’ interests first. The DOL subsequently proposed new regulations in April 2016. 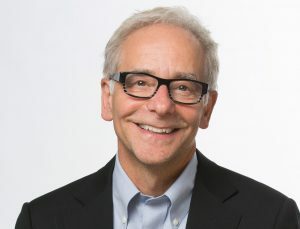 Known as the DOL Fiduciary Rule, it provides that anyone giving investment advice for compensation in retirement accounts (including IRA and SEP-IRA accounts, pension plans, 401s, and defined benefit plans) must act in the account holder’s best interest and must disclose all potential conflicts of interest. Part of the DOL Fiduciary Rule became effective in June 2017. The two provisions that have gone into effect require advisers to give advice that is in the best interests of their clients, charge reasonable compensation, and avoid “misleading statements” about investment transactions and what they are being paid. The DOL Fiduciary Rule has met staunch opposition from some members of the financial services industry and they got considerable high-level support after the election of Donald Trump. On February 3, 2018, President Trump issued a memo for the Department of Labor to re-assess the rule’s impact on retirement advice. Bills have since been introduced in Congress to kill the DOL Fiduciary Rule. And, lawsuits were filed challenging the Rule on various theories. Two cases have reached the federal appellate courts, and those courts reached different outcomes on the validity of the DOL rule. The Tenth Circuit rejected an Administrative Procedures Act challenge to the application of the DOL Rule to fixed indexed annuity sales. Market Synergy Group, Inc. v. United States Department of Labor, Case No. 17-3038 (10th Cir. March 13, 2018). Two days later, the Fifth Circuit held in a 2-1 decision that the DOL lacked statutory authority to enact the rule and struck it down. Chamber of Commerce v. United States Department of Labor, Case No. 17-10238 (5th Cir. March 15, 2018). The DOL has not said whether it will appeal the decision, but it seems unlikely that an agency that was directed by the President to re-assess the rule that was invalidated would seek certiorari to argue for its validity. As a result fo these developments, we not only are left without a uniform standard, but we don’t know for certain what standards the federal regulators will apply. The DOL continues to reassess its fiduciary rule and is not enforcing it so long as advisors are making a good faith effort at changing their policies. And, the federal appellate courts have reached different outcomes on the validity of the DOL rule. For its part in making things progressively more confusing and less investor-friendly, the SEC has proposed a conduct rule that does little more than maintain the status quo. Its Best Interest Rule proposal will be challenged by investors over course of the 90 day comment period to come. Is there a silver lining anywhere for investors in all of this? Investors looking for one should look to the states and individual investor rights lawyers. Although the standard remains elusive on the federal level, things are different in some states. The California Supreme Court in Duffy v. Cavalier, 264 Cal. Rptr 740, 752 (1989), affirmed an earlier decision in Twomey v. Mitchum, Jones & Templeton, Inc. 262 Cal.App.2d 690, 69 Cal.Rptr. 222 (1968) and held that “[a]s repeatedly stated in Twomey and the many subsequent cases following it, the relationship between any stockbroker and his or her customer is fiduciary in nature, imposing on the former the duty to act in the highest good faith toward the customer.” However, the extent of the fiduciary duty depends upon the relationship between the adviser and the customer. Where the broker is merely an order taker, his fiduciary duty is simply to execute the order as placed. But, where the broker essentially controls the account, either through discretionary trading authority or making recommendations that are routinely followed, then the duty becomes a traditional fiduciary duty. Duffy, 264 Cal Rptr. at 753. See also: Ashburn v. AIG Fin. Advisors, Inc., 183 Cal.Rptr.3d 679, 694, 234 Cal.App.4th 79 (Cal. App. 2015)(citing Duffy with approval). The rule in Oregon is similar. In Wallace v. Hinckle Northwest, 79 Or. App. 177, 182 (1986), the court summarized the rule as “A stockbroker is a fiduciary if his client trusts him to manage and control the client’s account and he accepts that responsibility.” The court held that whether the account is discretionary is not controlling, and that the courts had to review the facts underlying the nature of the relationship. Cf. Berki v. Reynolds Securities, Inc., 27 Or. 335 (1977), where the court found no fiduciary relationship because the broker had no control over the investments that were made. A financial planner has the duty of a fiduciary toward a client. A financial planner shall disclose to a client, at the time advice is given, any gain the financial planner may receive, such as profit or commission, if the advice is followed. A financial planner shall make diligent inquiry of each client to ascertain initially, and keep currently informed concerning, the client’s financial circumstances and obligations and the client’s present and anticipated obligations to and goals for his or her family. There are exemptions, including those for advisers who are not located in Nevada. NRS 90.310 – NRS 90.340. Meanwhile, state securities regulators have made clear that they may act where they believe an investment adviser has violated the DOL Fiduciary Rule, even if the DOL itself is refraining from doing so. The Massachusetts Securities Division has filed an action against Scottrade for violation of the fiduciary rule when it ran a sales contest that affected retirement accounts. A spokesperson for Secretary William Galvin was quoted in The Wall Street Journal stating, “The secretary feels that since the federal government is unclear” on the future of the fiduciary rule, “the states have to step up and protect the people.” The Wall Street Journal, February 15, 2018. The Journal also reported that “A bipartisan group of 13 state treasurers, in a letter to Labor Secretary Alexander Acosta dated June 7, said: ‘We are committed to protecting the financial interests of our constituents—in particular, ensuring that retirement planning and investment advice is not conflicted.’ The treasurers, including those from Pennsylvania, Oregon and Iowa, asked Mr. Acosta to preserve the ‘common-sense measure.’” The Wall Street Journal, September 12, 2017. Lawyers representing investors in arbitrations and court will no doubt continue to rely on state law and fiduciary standards where applicable as well. Robert Banks is a securities litigation attorney based in Portland, Oregon. He represents investors in FINRA arbitrations and court cases. He is a member of FINRA’s National Arbitration and Mediation Committee and is the Chair of its Rules and Procedures Subcommittee. He is a former president and a Director Emeritus of the Public Investors Arbitration Bar Association. The views expressed above do not represent the views of FINRA, the National Arbitration and Mediation Committee, or necessarily, PIABA. will speak with you directly to confidentially discuss the details of your situation and your potential for recovery. We invite you to research Bob’s extensive experience here.